Bluebird moves to Covent Garden, a horde of Sloane Rangers following in its wake. Alright, so new shops in Covent Garden are rarely Secret London news. But we do love a shop that’s good for the ‘gram, and Bluebird certainly matches that description. 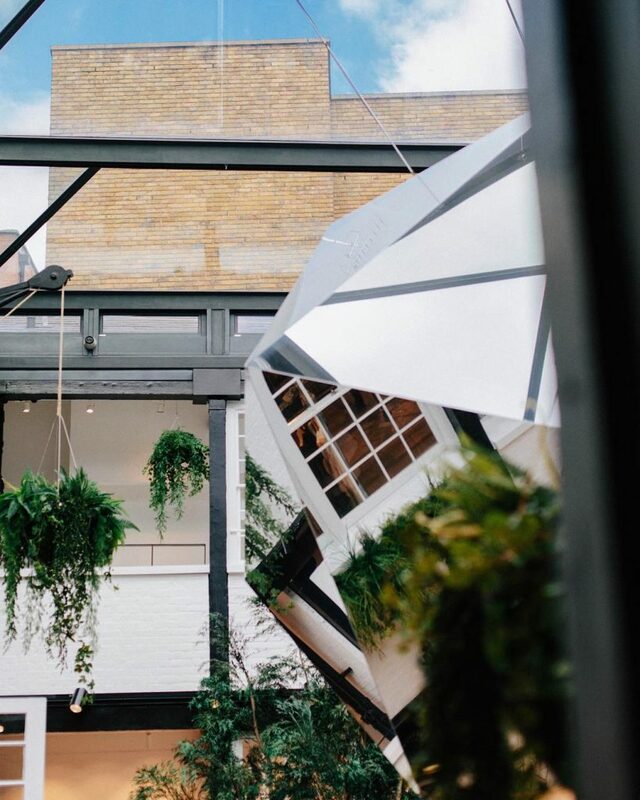 Opening on Floral Street, the Chelsea favourite has some fancy new digs, housed within a Grade II listed coach house. 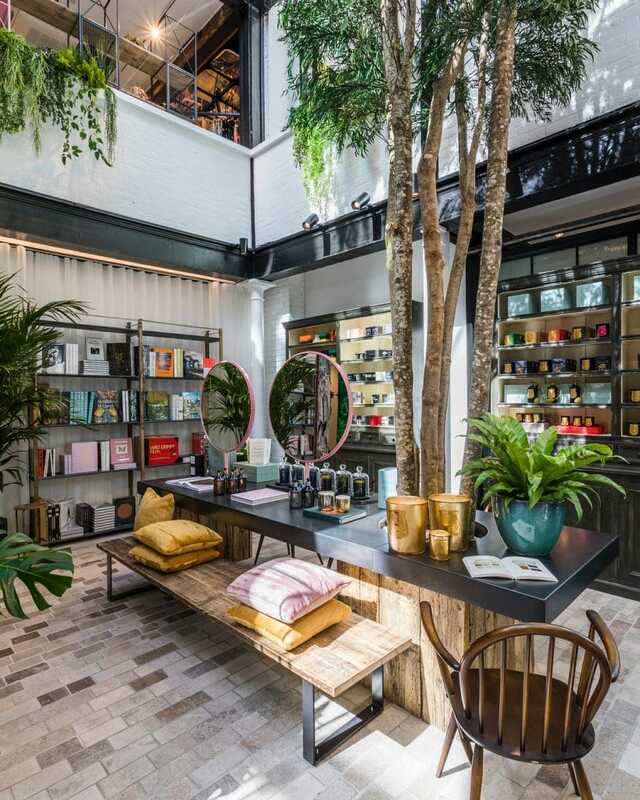 Lets be honest, it’s a very pretty place for a browse. Bluebird is a proverbial smorgasbord of everything pretty and on trend. The blend of Victorian and Art Deco features includes the likes of… Cobbles! Courtyards! Colourful walls! Weird art! Glass ceilings! Roof terrace! 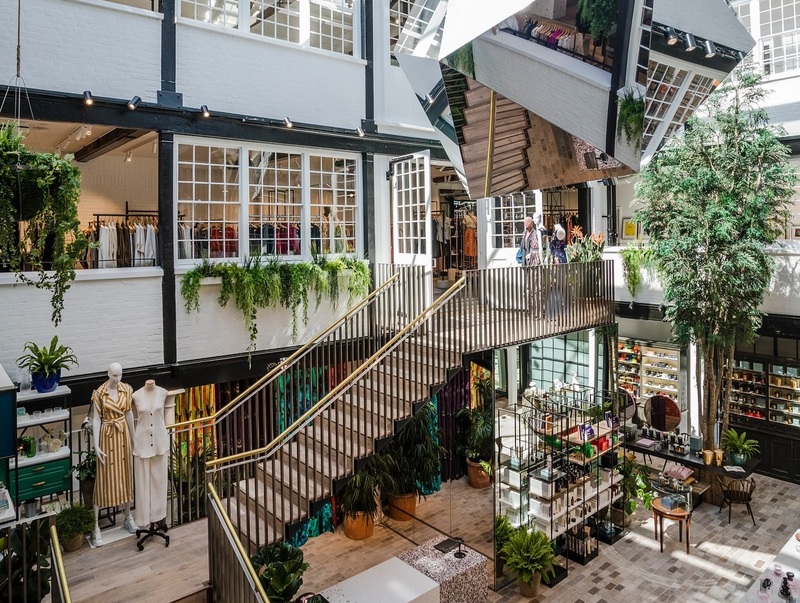 Being a fashionable outlet, there’s lots of ultra-chic clothes, art, and homeware available for purchase. A charming spot to see and be seen, dahling. Bluebird has made the rather arduous migration from the King’s Road over to Covent Garden. Depending on whether they see it as a step up, or a simply unpardonable faux pas, the Chelsea set are poised to follow it east. They’ll also be able to dine at the top floor restaurant that Bluebird will soon host. Just don’t confuse it with the other, more famous Bluebird restaurant, which will be staying in SW3, and presumably remaining a happy hunting ground for the Made in Chelsea cast. 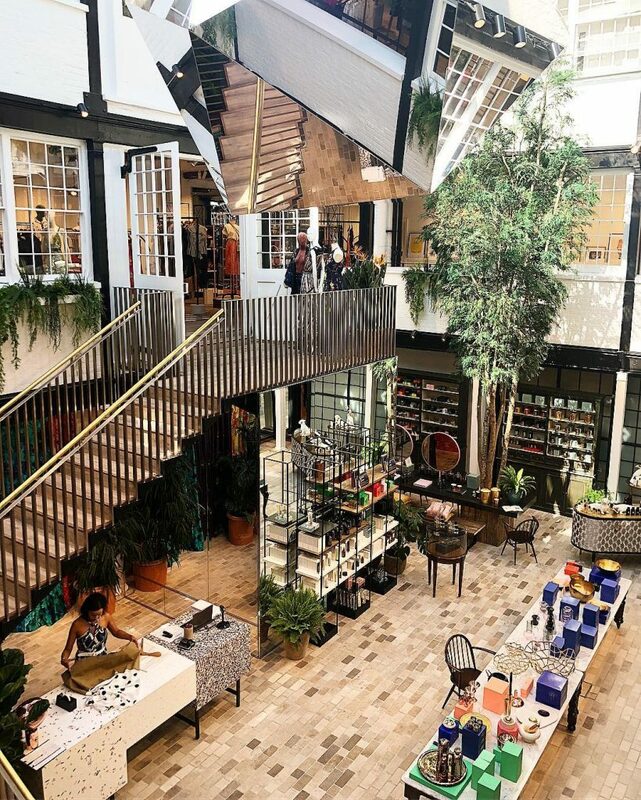 With the recent opening of Petersham Nurseries, Covent Garden is becoming the destination du jour for chic shops with tonnes of Instagram potential. It ain’t just for the tourists, you know. Location: Carriage Hall, 29 Floral Street London WC2E 9DP. Nearest station is Covent Garden. See it on Google Maps. Opening hours: 10am-7pm (Monday to Saturday), 12-8pm (Sunday). Price: unconfirmed, but since it’s come from the King’s Road, you can expect the stock to cost a pretty penny.